Typhoon Bordeaux brings some easy going decisions to your kitchen remodeling. If you would like to be hassle free for backsplash and have some art piece in your kitchen, she welcomes you. Typhoon Bordeaux is from the same family of Sienna Bordeaux, Monte Carlo Bordeaux, Crema Bordeaux and River Bordeaux. If I mention her origin, I would like to call her the Brazilian Delight. Typhoon Bordeaux has a smooth flow from right to left with lots of garnet, wine, golden color specs. Since she has rich movements and specs, your keen eyes see a natural abstract art in your kitchen. She looks like a good coordinating element with modern, contemporary, eclectic kitchen and traditional kitchen as well. Backsplash selection is a piece of cake with the selection of this granite. The two strong advantages of her are using herself as a backsplash or having light tones neutral color travertine tile or glass tile. 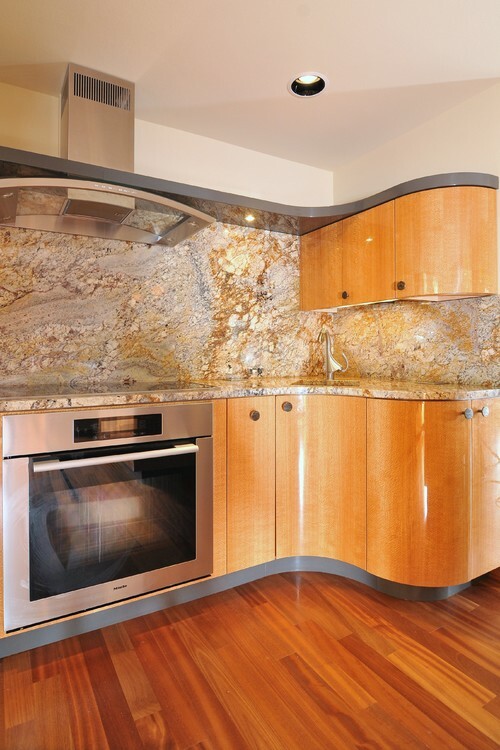 Mostly the homeowner would like to install the full high backsplash by using the same material on their countertop. 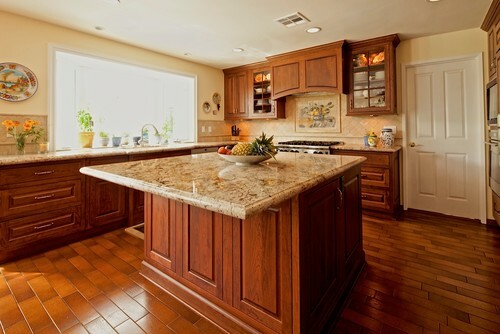 Typhoon Bordeaux is well-coordinated granite with wide variety of cabinet colors: From honey to ash, cherry, cranberry to onyx, maple to walnut. Let me share my inspired pictures with you. I am pretty sure you will like to see the rich taste of the pictures. 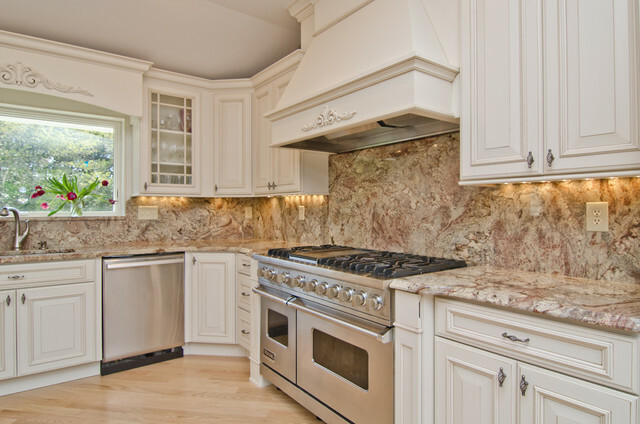 If you need some backsplash ideas pictures I may redirect to you my other articles as white and cream cabinets and dark cabinets by using Typhoon Bordeaux granite. If you are new in kitchen renovation, you may like other article of mine Granite Countertop: Kitchen Countertop Materials. 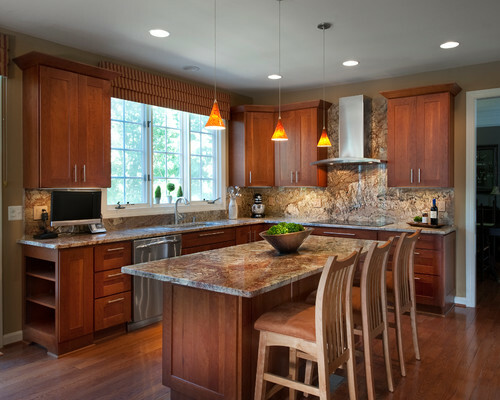 Eclectic Kitchen by Tacoma Kitchen & Bath Designers Signature Design & Cabinetry LLC. Granite backsplash and countertop in eclectic kitchen. Stone shows its richness. Perfect match with cabinets and flooring. Cabinets are light honey color. Traditional Kitchen by Thousand Oaks General Contractors JRP Design & Remodel, Perfect mate:Cherry Cabinets and veining countertop, with neutral color backsplash. 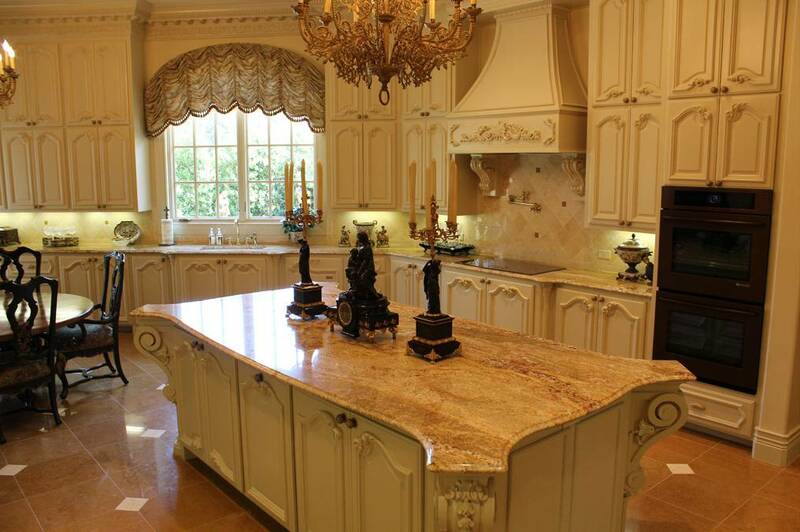 Traditional Kitchen by Dc Metro Kitchen & Bath Designers Granite Connection, LLC. Another infinite looking traditional kitchen by having the Brazilian Delight.The cabinets are designed very plain to show the real beauty.